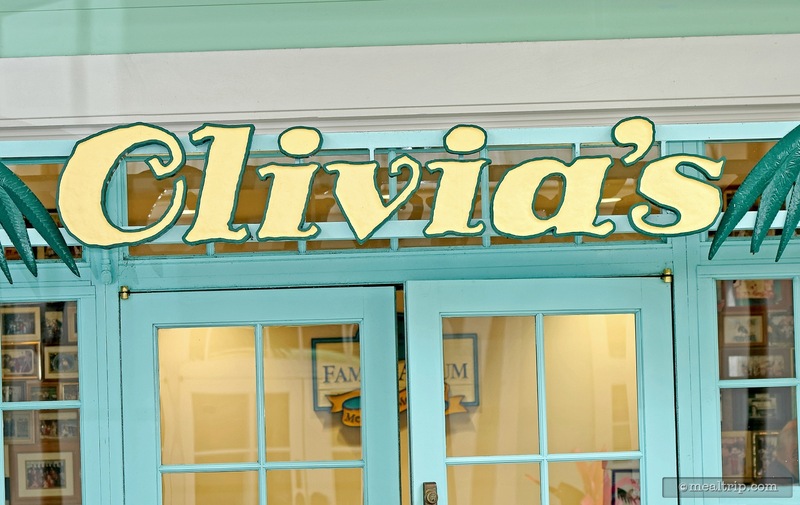 Olivia’s Café at Disney’s Old Key West is the resort’s only table service restaurant, and it’s a must-do for all guests staying at the Disney Vacation Club resort. So much so, that many guests think of Olivia’s as their “home” dining location. With a few nautically inspired touches, the easy Floridian feel of the decor makes this a really easy place to kick back, relax, and enjoy a great meal. 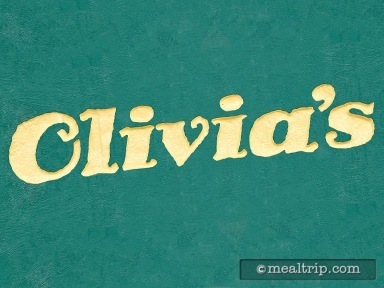 The lunch and dinner menus at Olivia’s are very similar. There are a few sandwich type entrées on the Lunch menu, that are replaced by a couple of “meat and potatoes” type of entrées on the dinner menu. While culinary thrill seekers might consider the very large menu a little ordinary... everything here, is done very well. Good food... is good food. Uniquely themed appetizers like Conch Fritters or Olivia’s own Conch Chowder fit right in with the Florida feel of the menu, from which, you can segue into either a plated meal, or keep it light with burgers, sandwiches or an entrée sized salad. The menu is well balanced, and not overly heavy on seafood entrées. Guest favorites include Olivia’s Classic Burger, the Southernmost Buttermilk Chicken, Island Barbecue Pork Ribs, and the Key West Salmon Salad. For dessert, the Banana Bread Pudding Sundae with Bananas Foster topping and the Key Lime Tart have been on the menu for a long time... and for good reason. A modest wine selection is also available by the glass or bottle.